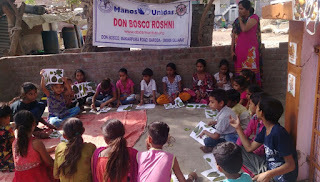 Vadodara (Gujarat), 4-April-2018: Don Bosco Roshni organized a painting and craft activity for more than 275 children from the slums of Vadodara (Gujarat). 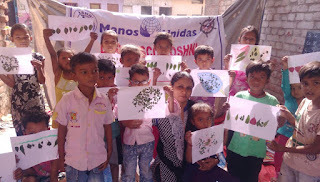 The programme was held under the aegis of ‘Children Education Project’ supported by Manos Unidas, Spain. 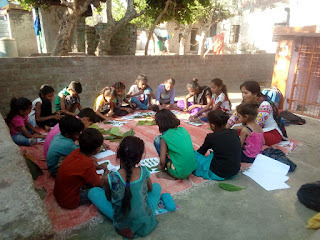 This activity was held in support classes during 2nd to 4th April, 2018. 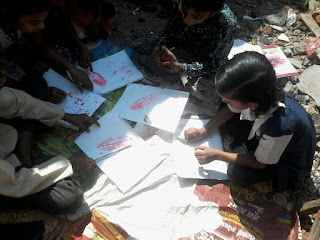 Children from 13 slums areas who are regular students of the daily support classes participated in this event. 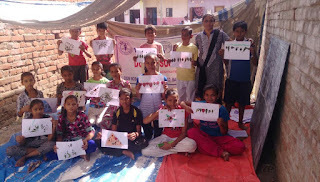 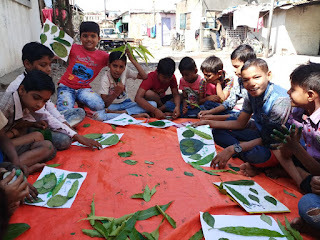 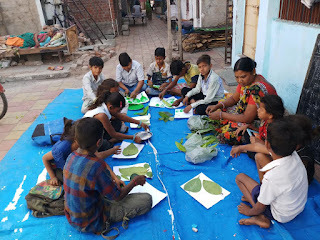 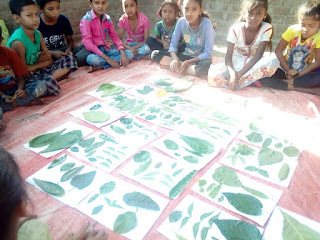 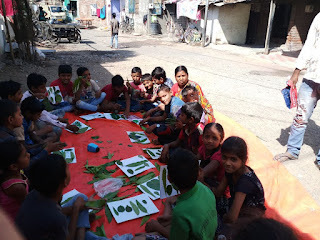 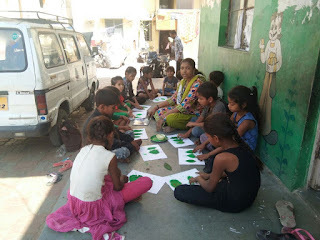 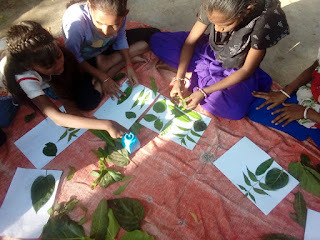 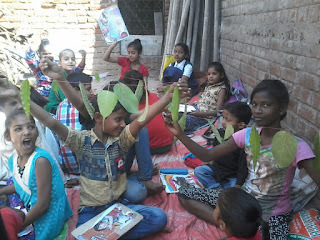 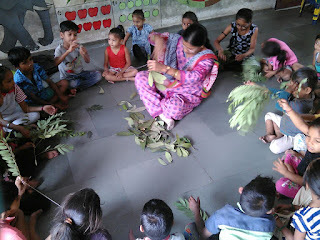 This activity was conducted to educate children about the usefulness of various plants, understanding shapes and sizes of leaf and to learn decoration and painting using leaves. 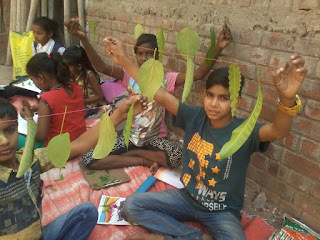 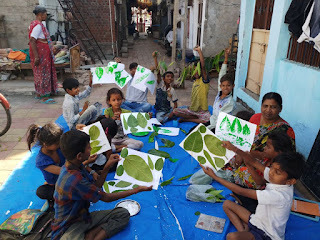 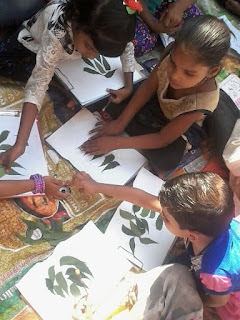 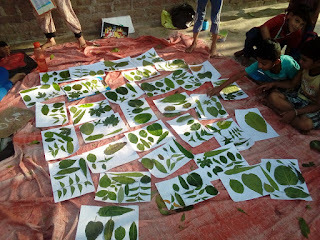 Children made leaves using colours, they also printed them on paper, and they made ‘Toran’ and various designs and patterns using leaves. 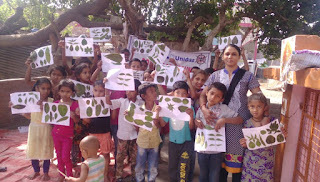 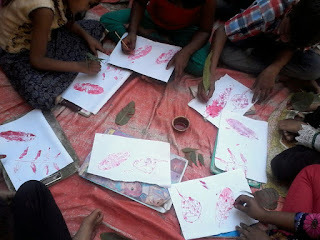 Children had lot of fun doing this activity.